The Crowtail- Tilt Switch is a sensor to detect the station of forwards. 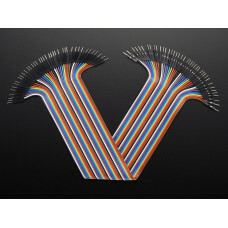 It outputs logic LOW in Horizontal direction and logic HIGH in vertical direction. Inside the tilt switch is a pair of balls that make contact with the pins when in the case of vertical. Tilt the case over and the balls don't touch, thus not making a connection. Use this SW200D Tilt switch in your next project. it can be used with horizontal tile detecting, ver..
With these wire, you can easily connect electronic components to breadboard to make your project wit.. 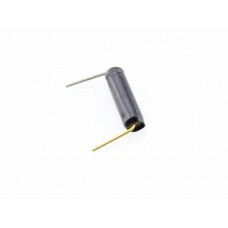 The tilt sensor module is equipped with a tilt sensor and a potentiometer. You may attach it to any .. 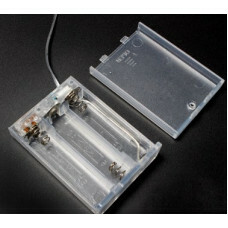 The 3 x AA Battery Holder with Switch puts a nice finishing touch on your battery powered project. T.. 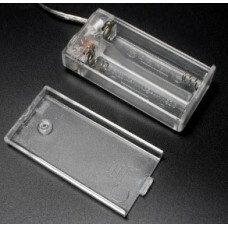 The 2 x AA Battery Holder with Switch puts a nice finishing touch on your battery powered project. T.. 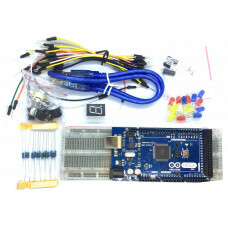 This Arduino Mega R3 Basic Starter Kit has the basic components to get you started with your first.. This is a pan-tilt that use with 9g servos, use it to control the vertical and horizontal rotation..